This review was first published on 10/6/10. This book, so deserving of the Caldecott Honor, is one that I can read over and over and over - and did when I was a bookseller! The concept is brilliant and the story is told so well, perfectly paired with the illustrations! Definitely a book worth buying for your own family and as a gift for others. 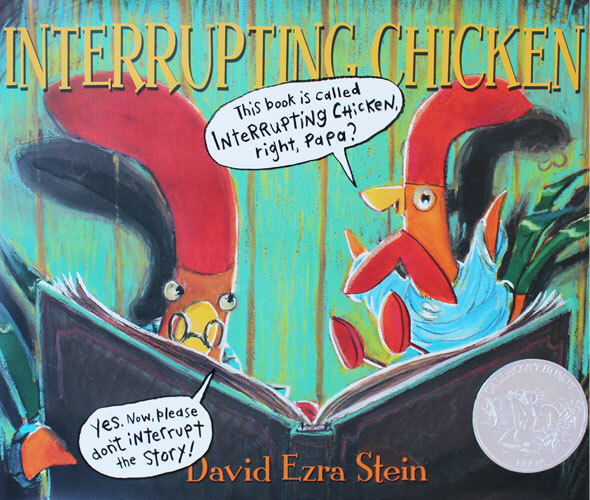 It took me a while to warm up to Interrupting Chicken by David Ezra Stein, but a few readings at home and at story time and the reactions of the listeners convinced me that this brilliant book is destined to be around for a long time. As an adult, I think that simplicity is sometimes lost on me when I read a picture book. My adult brain is calculating the cost of the book vs. the number of words on the page, the appeal of the art work inside and the possible number of times I can read it out loud with interest and the number of times I will be asked to read it out loud. Mo Willems and his Elephant and Piggie have proven that my cost vs. value equation for picture books is way off may times over. Papa says he will read his little chicken a bedtime story from her favorite book if she promises not to interrupt the story. "Oh no, Papa, I'll be good!" she replies. 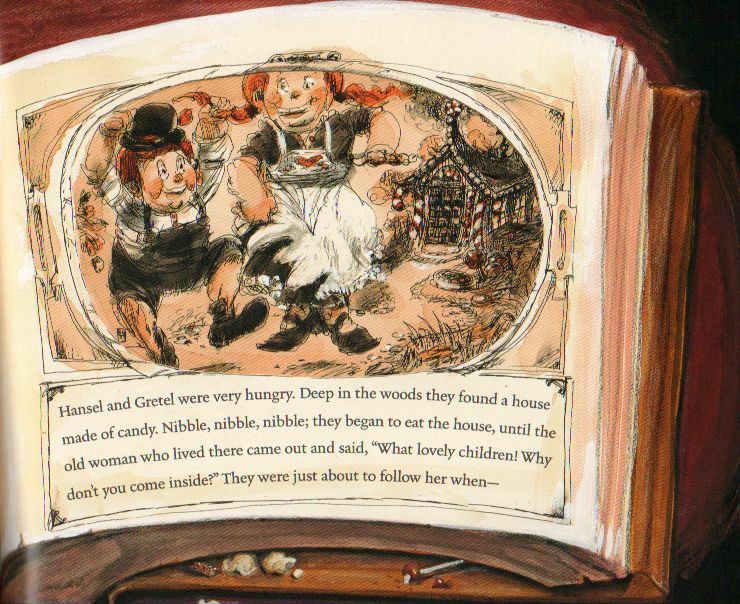 Papa pulls out the giant story book and begins to read Hansel & Gretel. The reader gets to see the inside of the story book, as well as the scraps and crumbs in the binding that show that it is well read. Papa begins to read the story but, just as the children are about to be tricked by the witch, little chicken interrupts! 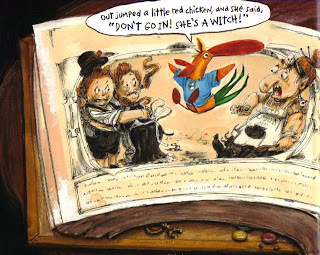 This is a very funny moment and ripe for silly voices and the best part is, you, the reader, get to interrupt (in the voice of the little read chicken) two more times! PAYBACK!!!! 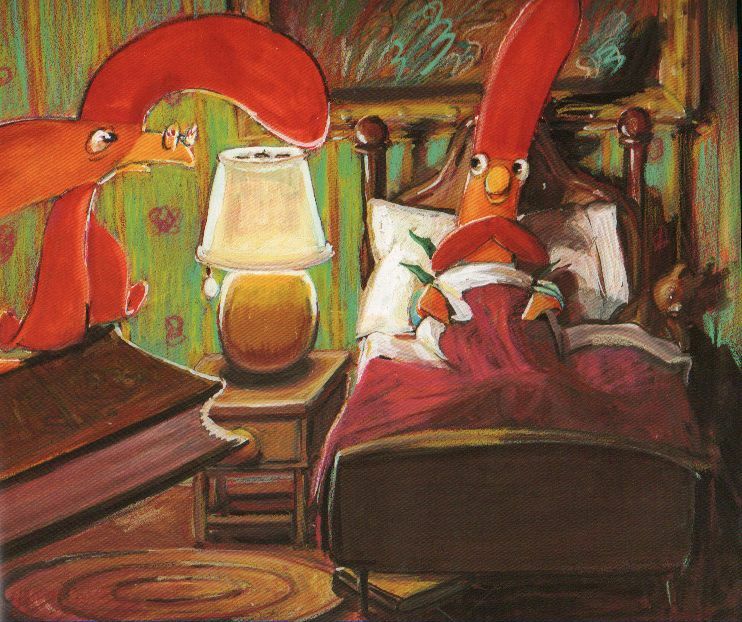 Finally, Papa is too worn out to read anymore and he asks his little chicken to tell him a story. Full of energy and not the least bit sleepy, she decides to write and illustrate it as well. Her story, which we get to see just as we see the pages of the book Papa was reading from, is titled, "Bedtime for Papa by Chikn." Two pages into the story, it is interrupted - by the snores of Papa. 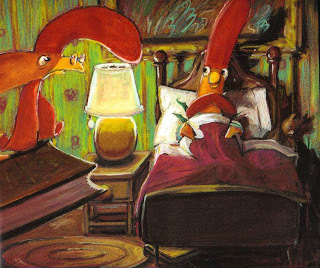 When chicken realizes what has happened, she tucks them both into bed and goes to sleep - finally. I have not gotten tired of reading this book yet! In fact, I have read it so often at story time that some kids have heard it twice. As with all great picture books, this works on two levels - the purely entertaining kid level and the wink-wink adult level. 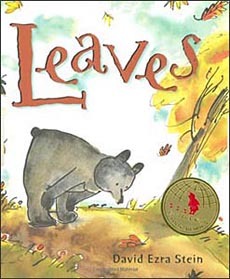 Don't miss David Ezra Stein's gorgeous, charming Leaves about a bear who has never seen the leaves fall off the trees before. Not quite sure how to respond, he tries to reattach them to the trees, but also considers sleeping in them.